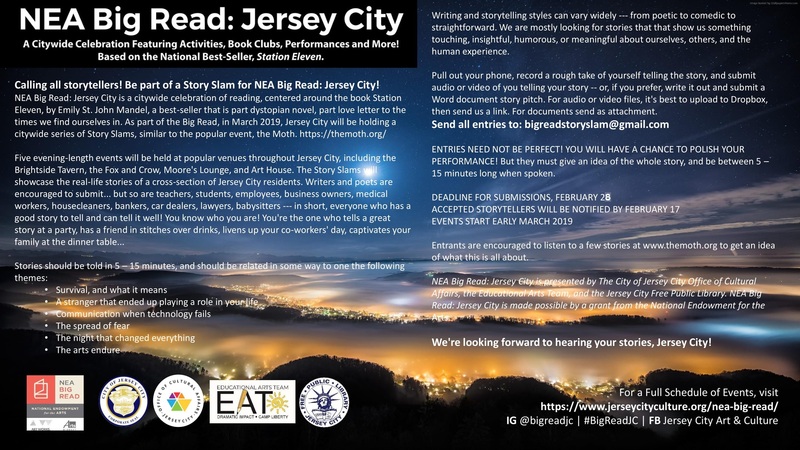 The Jersey City Free Public Library is partnering with the City of Jersey City, the Jersey City Office of Cultural Affairs, the Educational Arts Team and 40+ community partners to host NEA Big Read Jersey City 2019. 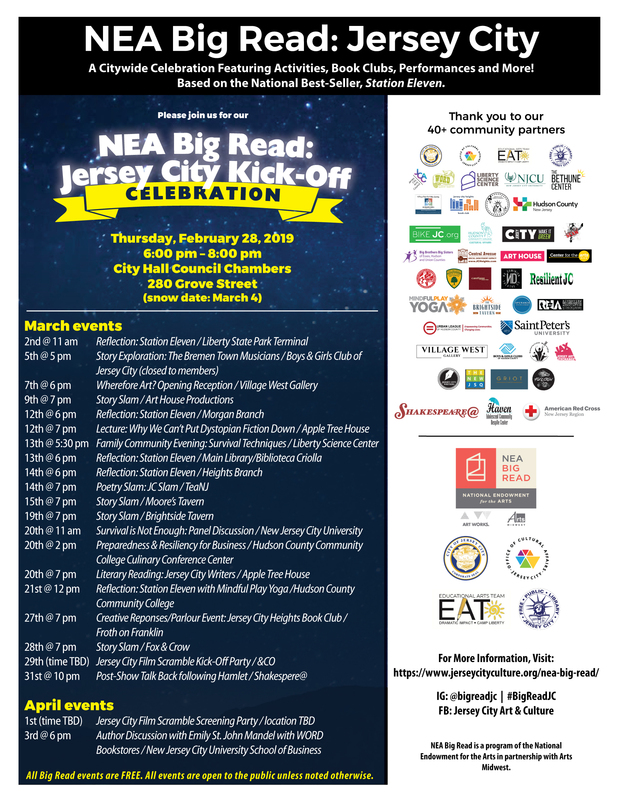 The Big Read is a series of citywide events designed to bring Jersey City together and connect us to our world, our community and ourselves through the joy of sharing a good book. workshops, visual and performing art events, story slams, literary readings, children’s activities and a book discussion with the author. 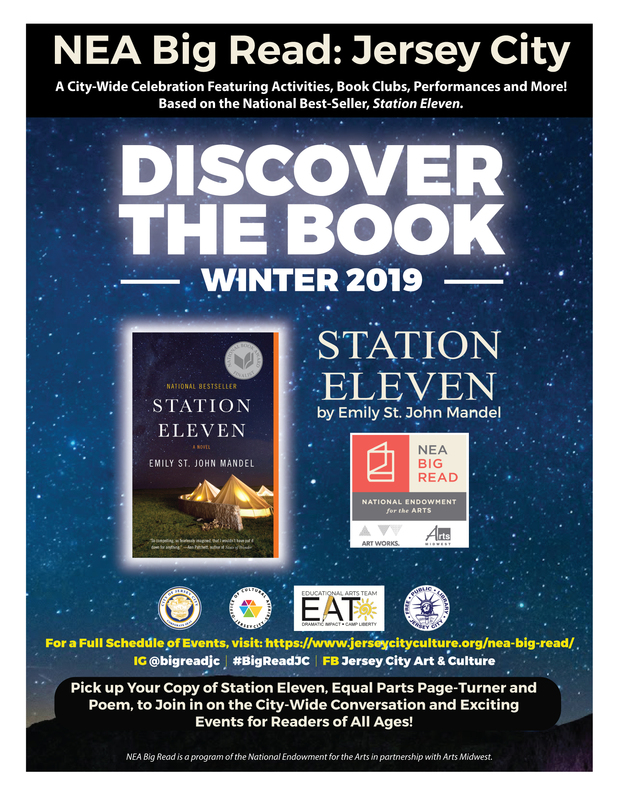 Keep your eyes on this page for information about Big Read events at your local library. You can also follow our Facebook page for event updates. For a full schedule of all citywide events, see the Office of Cultural Affairs website, or follow along with us on Instagram using the hashtag #BigReadJC. Get ready for the Big Read Kick-Off on February 28! Take a look at the schedule below and check out our Facebook page for a full listing of Big Read events throughout the coming months. 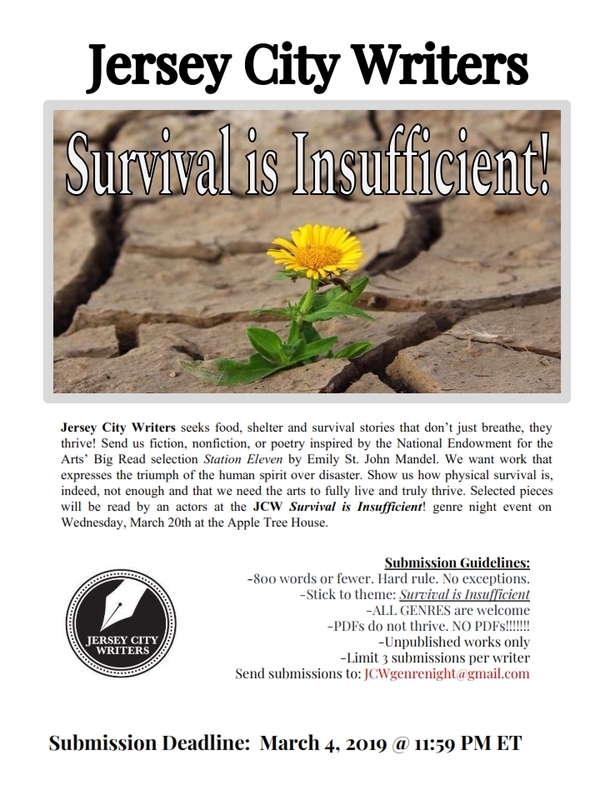 Don't miss out on updates and announcements about Big Read events and activities. Take a look at all the fun we've been having! Keep checking in here, as we update this section with photos from Big Read events at the libraries.